Whether you’re traveling to warmer weather, going on a road trip or just hanging out at home, why not have some good tunes to accompany you? Music is the perfect partner to a sunny day, a long and winding road in front of you or when you’re laying in your bed staring at the ceiling. 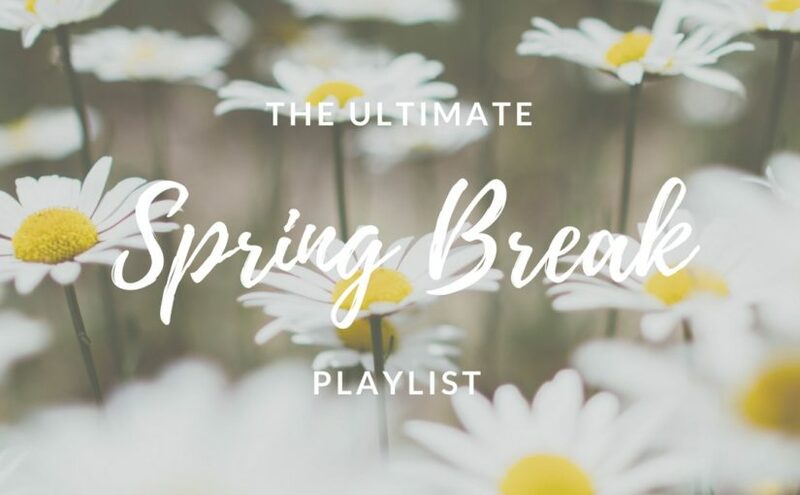 After much extensive research (also known as compiling some of my favorite songs), I have come up with the ultimate playlist to fit whatever your spring break needs may be. With a mix of old and new, classic and alternative, this playlist has a little bit of everything for all tastes of music — except country (sorry). For those of you planning to spend your spring break in the tropical climates, this is a warning to you to wear your sunscreen so you don’t blister in the sun. Released in 1983, this song will give you the confidence to not have a care in the world (much like a college kid in the ’80s would have). You’ll recognize that iconic guitar intro and feel an immediate pep in your step. This song screams warm weather and taking a drive with the windows down. With simplistic lyrics and an entrancing pop-y tune, this song draws you in and will make you want to dance. But do your best to contain yourself if you are driving. Keep both hands on the wheel and your eyes on the road. I can’t tell you how many times I’ve been embarrassed because someone has seen me dancing in the car. “I’ve got all the time in the world” to do absolutely nothing. I’ll be spending my break catching up on some much-needed downtime from all the hustle and bustle of my regular schedule. With it’s oh so mellow tempo and dream-like vibes, this song will set the mood to wind down. The lyrics speak for themselves. Let the music play and the rest of the world just melts away. Let me set the scene for you: It’s a beautiful, sunny day with a crisp breeze fresh with the remnants of the fading winter. You have no responsibilities. You walk out the door without a jacket for the first time in months, and all of a sudden The Doobie Brothers start playing. I don’t know if this is true for anyone else, but I’ve always dreamed of my life being a music montage. Life is just better with music. Portugal. The Man gives a hopeful message delivered with cutting angst, telling everyone to live in the moment because you’ll be gone one day. You don’t want to spend your life always looking forward to the weekend. Treat every day like it’s Sunday and soak up every ounce of freedom that a break from normal life gives. Spring break is winding down, and it’s almost back to reality. Fear not; we’re over halfway there. We can make it to the finish line. For these songs and more, find my playlist on Spotify.